After another day of profitable action from the French capital the tournament moves on in to Day 6 and we have our latest batch of best bets to hopefully hit a few more winners. Our trio today pays out a handsome £267.75 to a £10 stake. 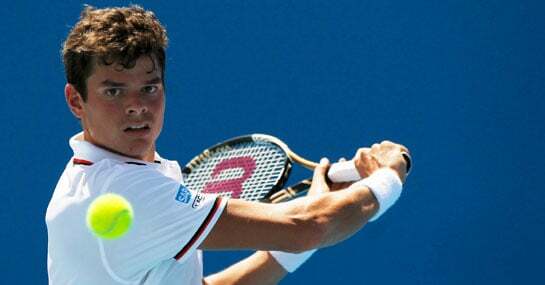 Canadian ace Milos Raonic deserves to start this match as favourite but it looks far from certain that the laid-back big server will make it to the fourth round. Raonic has built on some excellent performances on the surface this year, not dropping a set so far in Paris, however, the standard just got significantly stiffer. Opponent Gilles Simon is not as consistent as he once was but the 29-year-old has won 11 titles in his career and although it’s unlikely that a Grand Slam will be added to that haul he still has the ability to trouble the very best. Raonic doesn’t even fall into that category yet and with home support in his wings, Simon could treat the Parisian faithful to a treat of epic proportions. It would be very difficult to call which player would survive if the match went to a deciding set – as it was when the pair met for the only time at Oeiras three years ago on clay – but it would be a big surprise if the favourite was able to wrap things up comfortably and the advice is to back arguably the most attractive match on the card to go the distance. Dominica Cibulkova reached the pinnacle of her career to date when going all the way to the final of the Australian Open this year but that achievement seems to have set her back rather than spurred her on and she looks extremely vulnerable against an improving Samantha Stosur. The 2011 US Open champion has also struggled to maintain her career high but there have been definite signs this season that her Big Apple hangover is finally fading and she has had her opponent’s number everytime they have met. In four meetings – twice on clay – Cibulkova has not managed to win a single set and considering the last of those encounters was only three weeks ago in Madrid it’s difficult to see the Slovakian turning the tables. Stosur eventually went out to Maria Sharapova in Spain two matches later and the week after her run in Rome was only halted by another top-five operator in Li Na. This is better form than anything Cibulkova has been able to offer lately and although the younger player hasn’t been troubled so far in the love capital she’s faced no-one near the class of the Australian yet. Both the meetings between this highly contrasting duo have needed a third set to decide the winner and like the first match previewed it seems highly unlikely that at least four sets won’t be required. The advice is to go further than that once more and invest in the John Isner stamina show to put on another performance like he did here two years ago when losing out to what was then the longest set in French Open history when going down 18-16 against Paul Henri-Mathieu. While this would be Isner’s least favourite surface it is clearly the optimum terrain for Tommy Robredo and that explain why the layers have found it impossible to separate them with the clay acting as a natural handicap. However, it’s still tough to envisage that the increasingly unreliable Spaniard won’t lose at least a few service games and if that’s the case its almost certain with Isner’s record-breaking serve Robredo will lose at least one set.